Rural Society: If there’s one country that loves beef as much as the U.S., it’s Argentina. Cattle is an enormous industry down there, and of some of the highest quality in the world. The South American meat takes center-stage at Streeterville’s Rural Society, a burly endeavor from celeb chef Jose Garces and executive chef Cory Morris. The restaurant is not only a thoroughly transportive experience by design, with an aromatic dining room designed to resemble an equine hideaway, but the food hits the nail on the head too. Meats are wood-grilled to succulent perfect, adapting a pleasant and addictive smoky aroma throughout. While a few cuts come from American farms, others hail from South America, offering something different for the Chicago steak landscape. Try the bife de chorizo, a grass-fed rib-eye from Uruguay, or the tenderloin also from Uruguay. Pair the meat with any of Rural Society’s killer vegetables, starters, or potato dishes and you’ve got a match made in meaty heaven. 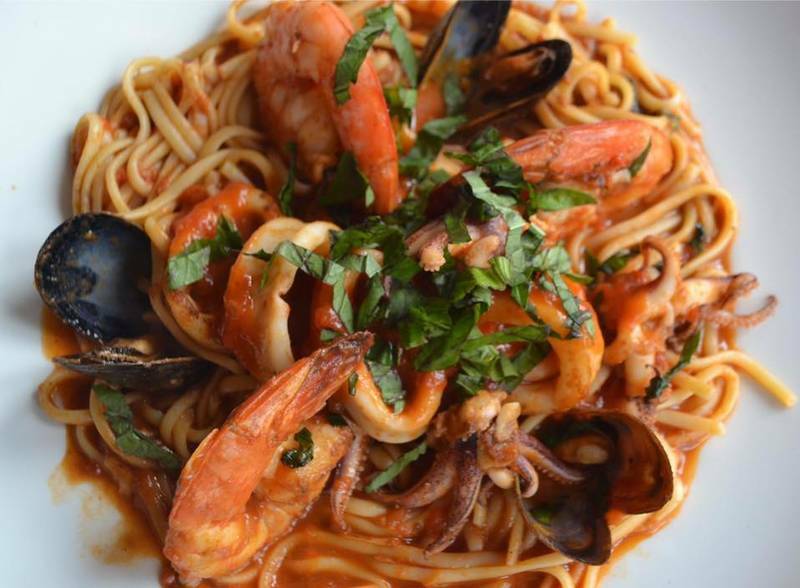 Harry Caray’s Italian Steakhouse: As the name suggests, this is one of the few places where you can indulge your appetite for steaks and Italian pastas at the same time, and have them both be done so well. Start with apps like Italian wedding soup, calamari, and truffled arancini before moving on to rigatoni alla vodka, bucatini pomodoro, and crab cavatelli brimming with fresh artichoke hearts, heirloom tomatoes, ricotta, shallots, and lemon zest. The meaty entrees are just as noteworthy, available in multiple portions and cuts, like filet mignon, NY strip, bone-in rib-eye, and even a bison filet. Guests can add truffle butter, horseradish crust, Gorgonzola, and peppercorn with Bordelaise to any steak of their choosing too. Don't forget Harry's is the home of Chicken Vesuvio. The Original Chicago Dish! 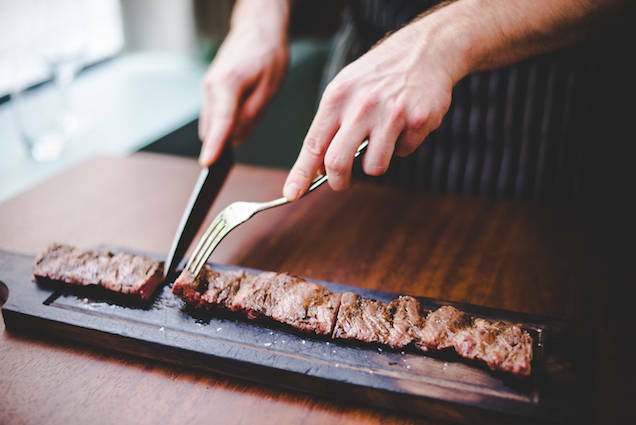 Bavette’s Bar & Boeuf: Unlike your standard Midwestern fare, the steakhouse fixings at Bavette’s bring a discerning richness in a whole new way. For instance, hors d’oeuvres include foie gras terrine with Cognac and quatre epices and baked goat cheese ca. 1992 with red sauce and fines herbes. For steaks, there’s steak frites with bearnaise and a petite duchess cut with roasted tomato and herb butter. Even the sides and “Odds N’ Ends” skew French, with items like pomme frites with garlic aioli, beef tongue with fingerlings, roasted bone marrow with caramelized red onion jam, and creamed spinach with blue cheese. Boeufhaus: One of the biggest dining surprises in Chicago last year was this humble, pint-sized steakhouse on the edge of Ukrainian Village and Humboldt Park, a very unlikely locale for a German-accented restaurant like this. The surprises keep on coming throughout the night at this dimly lit enclave, from starters like tarte flambee and short rib beignets to a pork sausage called fleischschnacka, a charred sourdough stracciatella, boeuf tartare, and cauliflower gratin with Gruyere, bechamel, and herbed breadcrumbs. Then there are the entrees, which run the gamut from dry-aged rib-eyes and steak frites to duck breast with choucroute and a lardo-wrapped veal loin with mustard jus, garlic spinach, and marrow gnocchi. Roka Akor: Few places master surf and turf so effortlessly quite like Roka Akor, the River North steakhouse with a penchant for sushi and omakases. It’s one of the few places where you can preface your steakhouse experience with items like robata grilled artichoke, hamachi tartare, and lobster-red miso soup. 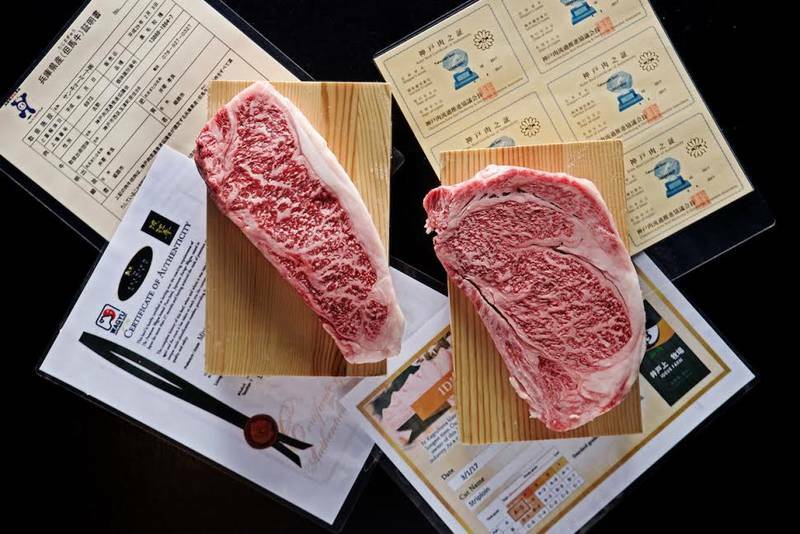 Steaks here get cooked on the piping hot robata grill, achieving a decadent sear before getting dressed by sauces like chili-ginger sauce and wafu dressing. Steak options include a prime beef filet, a prime rib-eye, prime skirt steak, and New York strip loin. Revolucion: In Lakeview, another steakhouse serving a surprising dining experience is Revolucion. Not only is the neighborhood far from typical, but the Mexican-leaning cuisine fuses an all-American pastime with some zesty south of the border flavor. Here, appetizers include guacamole, ceviche, and cecina steak taquiza, which consists of three housemade tortilla tacos stuffed with grilled steak, pinto beans, melted Chihuahua cheese, pico de gallo, and avocado-tomatillo salsa. Even the steaks get some uncommon accents, like accompanying cotija-guajillo fries, queso fundido crust, epazote-peppercorn rub, ancho bernaise sauce, and creamy tomatillo jalapeno. RPM Steak Gives New Meaning to "Rare Beef"